better code for such a flange? 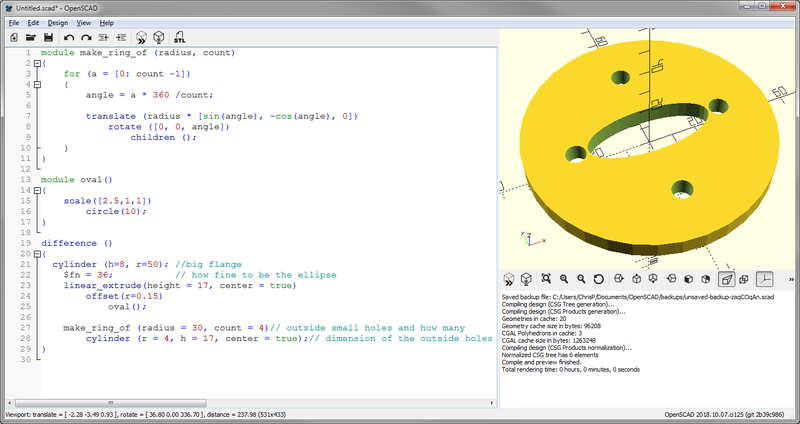 There were lots of issues, center spelt wrong for OpenSCAD, translate and difference with semicolon after them do nothing. Mixing 2D and 3D objects. Passing h to offset. Yes,nophead.Like yours is what i need.Can i have the code? Thank you. Rather than translate to a point on a circle and then rotate the child I have just translated along the radius and then rotated the translated child.